Here’s a bench shot of a dulcimer just after installing the frets. Scattered around the dulcimer are the tools I use when installing frets as well as some random stuff that tends to live on the bench. Speaking of random stuff; I’ve been told to live by the rule, “A place for everything and everything in its place.” Well, it seems that the place for everything is on my bench! 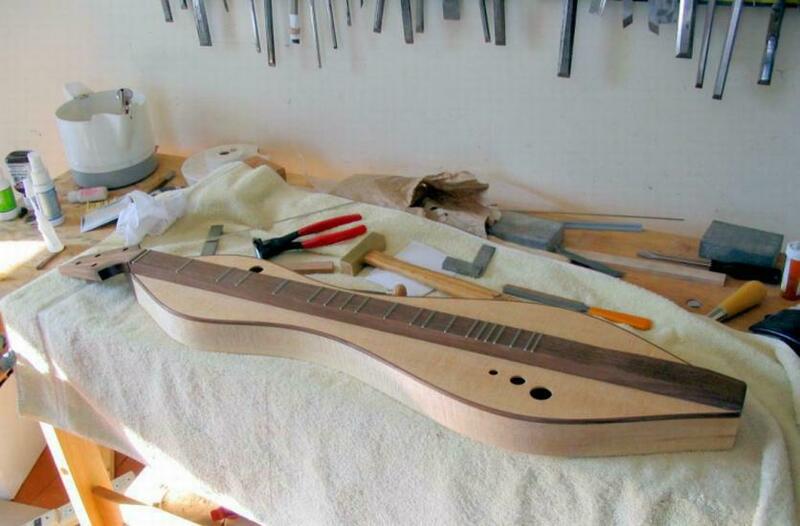 I fret the dulcimer after the body is completely assembled. I wrote about leveling the fingerboard in a previous post. Fretting once the dulcimer body is complete dictates that I can only hammer so hard on the fingerboard without damaging the instrument. This is remedied by slightly filing down the barbed tang of the fret. 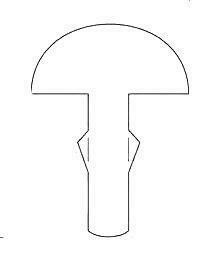 Below is a diagram of a piece of fretwire showing the tang. Or maybe it’s a mushroom? I file a slight bevel on the top of the fret slot to assure the fret seats well against the fingerboard. This bevel also helps avoid splintering the fingerboard should the frets be removed for refretting in the future. The fretboard is finished with oil and paste wax before installing the frets. A small amount of superglue is placed in the slot and the fret is hammered in. Any superglue that squeezes out is easy to clean off the waxed fingerboard using a small scraper. When I’m in a hurry I use the tool shown below. That’s going to be a beautiful dulcimer, Doug. The chisels haven’t hurt a dulcimer yet but I have caught the back of my hand on them on occaision! My shop is very small but I’ve been thinking of adding a second bench just for the fine work. Maybe someday I’ll actually get around to doing it! I never thought of using the vertical steam hammer as a garlic press. 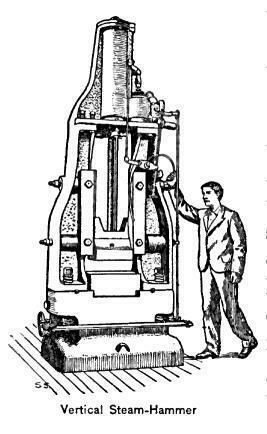 Maybe next I’ll get a treadle powered apple peeler! The first thing I noticed in the photo of your beautiful dulcimer is all of the sharp chisels hanging above and pointing at it! We use a vertical steam hammer in our kitchen; it makes a terrific garlic press. Never thought to use it in the shop. Thanks!